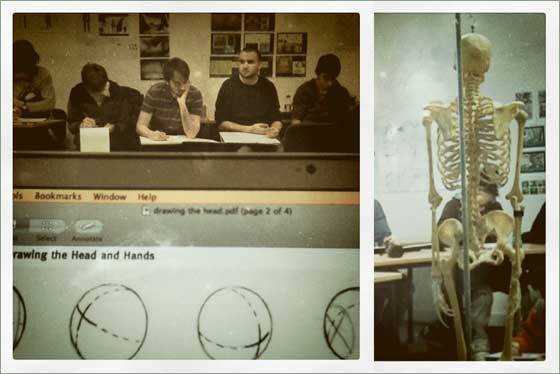 Two classes of anatomical drawing today at the Uni of Hertfordshire. My students were drawing the human head, both skeleton and living. There is always a moment a few minutes into the start of the drawing process when the room goes quiet as they focus their attention. Its a lovely feeling to be in a room of forty people in complete silence. They did some very nice work today. This entry was posted in Documentary and tagged artist, drawing, teaching. Bookmark the permalink.